Two pioneering energy suppliers, AvantiGas and Duncan Renewables, have partnered to launch AvantiRenewables, a single-supplier of multi-fuel energy solutions aimed at giving the healthcare sector greater green fuel choices. The joint venture sees AvantiGas, national supplier of LPG, and Duncan Renewables, award-winning experts in the provision of renewable energy technologies, collaborate to help customers navigate towards greener fuel solutions. 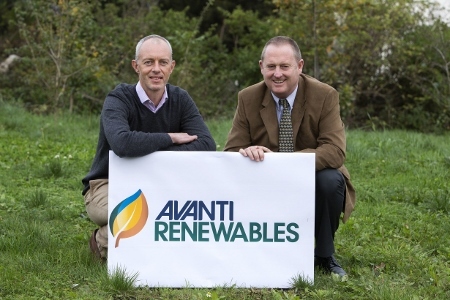 AvantiRenewables provides customers with flexible and tailored lower carbon fuel choices and one of its first offerings uses biomass technology to deliver heating and hot water for businesses. Neil Murphy, director of AvantiRenewables, said: “AvantiRenewables brings together two established energy companies to share years of tried and trusted expertise in energy provision. “The joint venture allows customers to tap into an extensive bank of renewable energy knowledge while also benefitting from a bespoke, one-to-one service. Our aim is to help customers make informed decisions about greener fuel options specific to their energy objectives. As AvantiRenewables develops, biomass will form the first component of what is expected to be a suite of flexible green fuel solutions available to commercial customers. Biomass heating systems burn wood, predominantly in the form of pellets, to provide buildings with space heating, process heating and hot water requirements. AvantiRenewables provides businesses with the opportunity to use biomass independently or as an integrated energy source in combination with LPG, depending on the customer needs profile. Mark Duncan, co-director of AvantiRenewables said: “The great thing about AvantiRenewables is our collaborative strength in giving businesses long-term, flexible heating solutions tailored to their individual needs. Incorporating the Government’s Renewable Heat Incentive (RHI), AvantiRenewables offers two installation options. Where capital is not available, the on-site model offers an RHI-supported ‘fund and facilitate’ scheme where the 20 years’ security of an owned and operated facility can give the customer peace of mind. Where capital is available, the equipment sale model allows the customer to buy and install the equipment from AvantiRenewables, with optional operational support services provided as required.